The Pokémon Sun and Moon demo has secrets, some of which are only viewable if you play multiple days in a row. Some players are convinced that a creepy NPC must be a part of those special events, even though he repeatedly admits there’s nothing to him. “I stayed up all night just thinking about how creepy he was,” said YouTuber GoodguyGastly in the theory video embedded above. 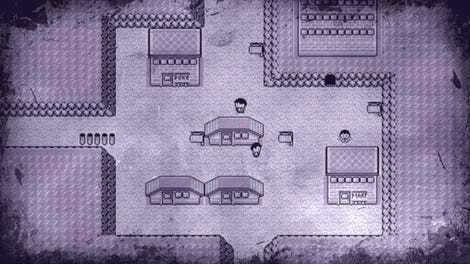 Like many other players, GoodguyGastly went back to the original old man location many times and tried to see if he could do something to trigger new dialogue. Honestly, the mysterious old man seems like a joke: he literally tells you to not look for him, because he has nothing for you. Players are nonetheless convinced there’s something more to him, and many on social media are reporting returning to the mysterious old man spot multiple times, hoping to find something new. After all, isn’t the demo supposed to have new content on multiple days? So far, nobody has found the truth about the mysterious old man. With dialogue like “Can’t resist the siren song of my shiny head?” I’m guessing that the old man is just there to troll players—and it’s working. Note the framing at the very end. Machamp walks by, and suddenly, the girl has vanished into thin air! Did Sun basically talk this girl into going into the afterlife? That might explain why she was scared to begin with. This isn’t the first time Pokémon games have flirted with ghosts. 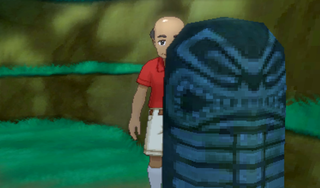 Infamously, both Pokémon X & Y as well as Pokémon Omega Ruby & Alpha Sapphire had their own creepy apparitions. I wouldn’t be surprised if the full Sun and Moon games also have another ghost girl, with the one in the demo merely being a taste of things to come.